Do you see yourself in any of the following descriptions? Entrepreneurs truly do come with many different personalities, sizes and shapes – so it is difficult to point to a particular type of entrepreneur and expect most of them to fit that “mold”. However, there are a few telltale signs or characteristics that most entrepreneurs will display if you watch them closely. So, here are some observations to use as you consider your behavior and the behavior of others who you suspect may have already been bitten by the entrepreneurial bug. You are very aware of what kinds of tasks you are not good at doing and you naturally look for ways to have them done by others. In other words, you tend to want to “delegate” tasks if you know that you are not effective in doing them yourself. As far back as you can remember, you have always solved problems differently than those around you. That is, you are somewhat of a natural “outside the box” thinker. You tend to “jump” all over a problem that you believe can be solved. Once you focus in, you are relentless about it. To your detriment, sometimes you will personally begin to solve problems that have already been solved but you didn’t wait to check that out. You are not afraid to attack a problem head on. You appreciate having structure in your life, but you also are quite willing to “bend the rules” every so often for the sake of making progress. Getting to your goal will occasionally become more important to you than how you go about it. From an early age, you showed signs of not enjoying being guided around and told what to do or especially how to do it. You usually felt that you had a better way to get things done. You may have even noticed that your close family members tended to have a similar mindset, so you grew up believing that your attitude was normal. You often will seek guidance from the words of your business heroes as a way to keep your mind focusing in the proper directions. You would rather just work from home than to waste precious time traveling to the office just to do what you could have already finished doing if you had stayed at home. It is normal for you to challenge people to better understand why they do certain things. It is natural and normal for you to see better ways to do things. You ask a lot of questions about almost everything around you. There are times when you are unrealistic, determined and strongly opinionated about your personal ideas. These personality traits make some interactions with others difficult, but for you – these conflicts have become normal. Your strong opinions are necessary to push you forward and others will most often see you as being unrealistic simply because they don’t have your vision. You are uncomfortable when you are not in control of your surroundings. You would rather have the power to make decisions than to have to “look over your shoulder” and to worry about whether you are still satisfying the whims of someone else. Given a choice, first thing in the morning you would rather head toward your computer or your home work area in your pajamas or a sweatshirt and get started than to spend a lot of time laying out and coordinating your wardrobe for the day. To you, a “good day off” is not only a day without having to work, but it can also be a day when you get a lot of work done without any disruptions or interferences. You strongly believe that your time is worth much more money than you are paid, so this makes you very protective of your free time. Competition doesn’t scare you. You don’t fear the challenges waged at you from others. Instead, you fear not moving forward and pushing to complete the goals you have set and the accomplishments that you can make. Without even trying to make it happen, you find that people are oftentimes attracted to you. Somehow you are able to relate to a large cross-section of personality types and as a result, you are often pulled into the middle of consultations and discussions by friends and associates. You find it difficult to become totally comfortable with “office politics”. If you could, you would avoid it at all costs because you hate it just that much. Your “no-nonsense” approach tends to keep you at risk to being fired at any moment or to find yourself at odds with people around you. You know that you have to “bend” sometimes, but you firmly refuse to “break”. As a general rule, you are full of self-confidence and that is certainly a good thing for entrepreneurs. It is not wasted on you because there will be many occasions where your confidence will be the main reason why people follow your lead. Remember, having a confident attitude can become one of your most important assets. Although not everybody understands you, there are some close friends, relatives or associates who truly do “get” you. You can feel their support and are confident that in difficult times, they will be there to encourage and support you. The main question for you to answer now is: “Do you still feel that you are an entrepreneur and are you willing to continue to follow this path”? If so, you should remain who you really are. It is easier and more productive for you to do that, than to attempt to transform yourself into some person you were never meant to be. Wow, you just described me to a “T”. Type A, headstrong, and willing to think outside the box. Maybe I need to rethink my path. It’s just hard to move outside of my current field. I will keep on trucking! Thanks for your comments. Your strength lies in understanding and accepting who you are. The idea of the article is to suggest that each person basically ‘be themselves’ and not spend too much time trying to become someone else. Of course, each of us can improve ourselves in various ways. The idea is not to be who you are not. Thanks for sharing. This article really rings to me and I can completely see eye to eye with everything said. I can definitely see a lot of myself in the descriptions above. It almost feels like you’re writing about me. Amazing article. We have learned over many years that a person’s greatest potential is usually linked to situations in which the person can be who they really are, instead of “pretending” to be someone else. It is very difficult to spend a lot of your time “pretending” and trying to do tasks that you are not comfortable doing. For us, it is more logical to identify first what business and moneymaking activities best fit who you are and what you will excel in doing. By approaching everything in that manner, you are starting out much, much closer to success. Nobody anywhere can be better at “being you” than you can. I’ve been struggling to find my inner entrepreneur and wondering if I’m really cut out for it. Your article helped get me back on track and realize that I’m in the right place. Thanks for this inspiring post. Excellent news, Marcus! We are happy to offer helpful advice on this subject. We wish you continued success in all of your efforts. Another perfect article. I’ve been reading for hours and I feel your website is a hidden goldmine of productive and helpful info. Thank you, Robert. We certainly appreciate your kind words. Our director will be pleased to hear that you are enjoying our articles. I have a problem with confidence, and after reading this post, I’m really starting to look at myself long and hard in the mirror. I will never be successful in life until I start having a little confidence and start loving myself. It is important to think of yourself in a positive way, and that’s the only way I will succeed in life. Thank you, this post helped me see that. Thank you. Our director once explained to us that the proper business strategy can even overcome a lack of confidence. Just let us know how we can assist you. You do not have to “reinvent the wheel”. Others have overcome similar concerns, so answers are available to you if you reach out for them. All people are different and come with their own personalities. If their actions are not consistent over long periods of time, it is reasonable to assume that they are changing their behavior based upon circumstances. The purpose of the article is not for anyone to judge anyone else. The point was to ask each reader if they are behaving in ways that are not true to who they really are. They are full of negative energy. You have to drain it off. To do that, they need you to see the experience they had, exactly to their specs. They need you to be aware of how you pushed them off a cliff, intentional or not. It is important to have a realistic, yet positive image of who you are. 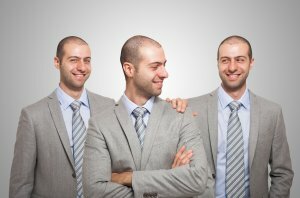 When you are able to maintain that positive self image, you will have less reason to wish to be someone else. confidence confidence and confidence as you stated “having a confident attitude can become one of your most important assets.” i agree to what you said. sometimes people can reach their goals in life and still they won’t believe it because of their lack of confidence. confidence will make you feel better about yourself. Sometimes I have wondered whether or not I actually fit the mold – but reading this is scary!! It’s all so head on! Inspiration comes to me again through your article and reminds me that I AM on the right path, and to embrace my “crazy”, so to speak. Thanks for taking the time to write this. Thank you Caroline for your comments. We really do enjoy hearing that our articles are helpful and useful for our readers. In particular, we have found that this post helps a lot of our readers.